In a career spanning over 20 years, Daniel Myer has been connected to but never belonged to a host of scenes and styles. It is true to say that he has been one of the modern alternative electronic music scenes most prolific artists, initiating or contributing to a legion of projects, in addition to the legendary electro-industrial/EBM project Haujobb – including; Cleen, Cleaner, Clear Vision, Destroid, Dots & Dashes, HMB, Newt, Rendered, Scope, Covenant, Radioaktivists, Architect and more recently, Liebknecht. Now he’s released the first album of a new project; IDK. 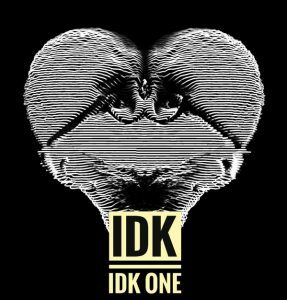 IDK – ONE is a collection of new and early works which clearly haven’t found their way into other active projects, though similarities and “fit” with the likes of Architect and Liebknecht are clear. If you enjoy the intelligent industrial/noise/breaks sounds from his previous works with Architect and Liebknecht then you’re going to enjoy this. Head on over to IDK on bandcamp to purchase your copy now!